Few things are worse than the panicky feeling you get when your book is about to go to press and you realize you made a serious mistake. A costly mistake. A thousands-of-dollars mistake. My first mystery novel, Death in Nostalgia City, takes place in a giant Arizona theme park. Nostalgia City is a complete re-creation of an entire small town as it would have appeared in the 1970s. Aimed at baby boomers and other seniors, the park includes period cars, clothes, food, fads, shops, restaurants, hair styles and music. It’s the first in my mystery series. The second book, Desert Kill Switch, was just released. To create the impression of the past for park visitors—and readers of the mystery novel—I use references to events from the 1970s and I dress park staff in bell bottoms, white belts and other recognizable styles from forty-plus years ago. Oldsmobiles, Pontiacs and Plymouths are among the cars of the past cruising the streets of Nostalgia City. Because music played an important part of the 1970s, my characters listen to the Rolling Stones, Three Dog Night and other memorable groups and I mention popular songs of the period. So far, so good. Songs are so vital to the story that I use music as a murder clue. In one scene I have my two protagonists listening the Doors’ “White Rabbit” and I spell out the lyrics. I love the song. It carries memories for those who grew up in the period. But long after my book had been submitted, edited and formatted for publication, it dawned on me that I might be getting into trouble using lyrics. Having written several nonfiction books, I’d learned the rules for quoting material from other books. In general, the doctrine of fair use permits you to quote short passages provided they make up a tiny portion of the entire work. And you need to get written permission. So I called my publisher and my editor told me she would contact the legal department for an opinion. But I didn’t wait. A little online research told me that just like quoting books, to quote lyrics you had to obtain permission from a song’s copyright holder. So who was that? I discovered that Doors singer Grace Slick wrote the song, but no longer controlled the rights. More research brought me to the legal department of the company that now owned those rights. I had forms to fill out, procedures to follow and the cost would be imposed on each word of the lyrics I used. Too expensive and too late. By then I started worrying about using just song titles, let alone lyrics. 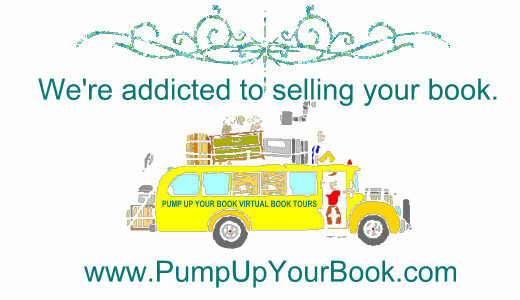 Even before I heard back from my publisher, I was rewriting the chapter. I struck the lyrics and changes in the book were made before printing or release of the e-book. I could use song titles, I was told. Whew. If you scan the Internet, you can find similar stories from writers who wanted to use song lyrics in their books. In an article in The Guardian, UK author Blake Morrison tells a similar story to mine, although he decided to pay for lyrics. Quoting lyrics, he reports, cost him the US equivalent of about $6,000. Authors of any artistic work, whether novels or songs, deserve to have their creative work protected, and as Morrison points out, the idea that artists have property rights is at least as old as ancient Greece. After working for two newspapers, he moved to advertising and marketing when he became a copywriter for Knott’s Berry Farm, the large theme park down the freeway from Disneyland. Experience working at Knott’s formed part of the inspiration for his creation of Nostalgia City theme park. Before turning to fiction, Bacon wrote business books including one for John Wiley & Sons Publishers that was printed in four languages and three editions, named best business book of the year by Library Journal, and selected by the Book of the Month Club and two other book clubs. His articles have appeared in the Washington Post,Cleveland Plain Dealer, San Antonio Express News,Denver Post, and many other publications. Most recently he was a correspondent for the San Francisco Chronicle. 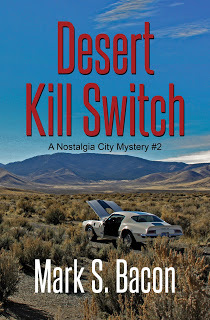 Desert Kill Switch is the second book in the Nostalgia City mystery series that began with Death in Nostalgia City, an award winner at the 2015 San Francisco Book Festival. The third book in the series will be published soon. 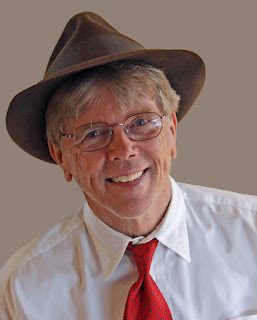 Bacon is the author of flash fiction mystery books including, Cops, Crooks and Other Stories in 100 Words. He taught journalism as a member of the adjunct faculty at Cal Poly University – Pomona, University of Redlands, and the University of Nevada - Reno. He earned an MA in mass media from UNLV and a BA in journalism from Fresno State.